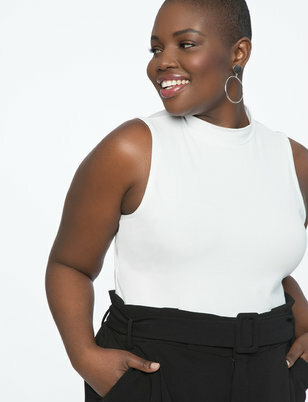 Nothing is more aggravating than having to retuck in your top and readjust it evenly so it's smooth underneath your pants or skirt. 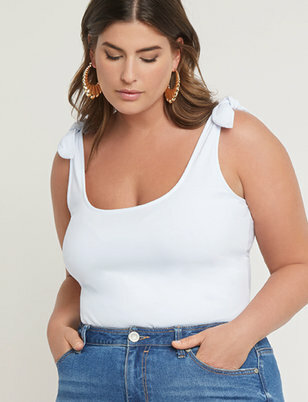 That's why we're big fans of the bodysuit. With a single snap, this one-piece wonder is meant to stay sleek and in place, even if you're dancing the night away with your hands in the air like you just don't care. 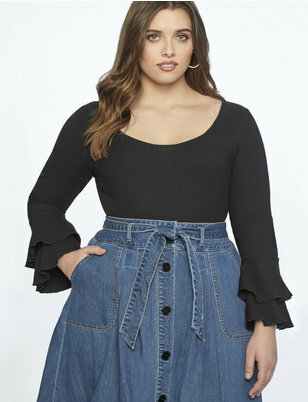 From all-black v-neck styles to more work appropriate looks with ruffle detail (a bodysuit blouse? 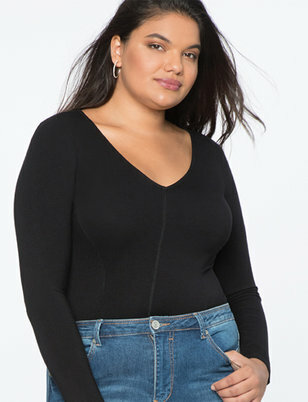 YES), our plus size bodysuits do the job, keeping your look perfectly put together without any worry.